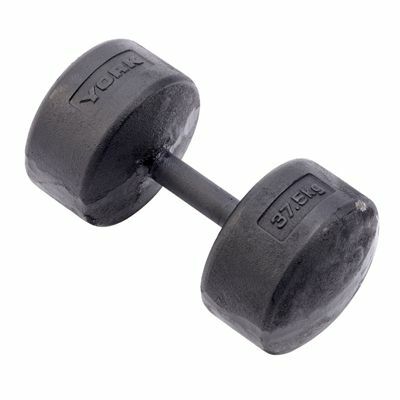 The York 37.5kg Legacy Dumbbell features completely knurled, solid steel, thick-grip 33 mm handles. The handles are a little shorter than the original Solid Round Dumbbell decreasing hand travel on the bar allowing better control and bio-mechanically correct movements. for submitting product review about York 37.5kg Legacy Dumbbell.